Jesse Ventura Interview: "I Simply Don't Believe in Religion; I Follow the Teachings of George Carlin"
Former governor of Minnesota (1999-2003), former professional wrestler, bodyguard, actor, author and veteran Jesse Ventura has been bringing his message to the people in a new way (from Mexico) with his online-only show entitled Off the Grid. In one month’s time, Off the Grid, on Tuesday through Friday, carried by Ora.tv and YouTube, already has a viewership of 1.3 million. Guests interviewed by Ventura on Off the Grid include Edward Snowden’s legal advisor Ben Mizner to discuss the whistleblower’s case, Judge Andrew Napolitano, Ron Paul and Thomas Drake. Most interviews last about 15 to 20 minutes, and Ventura – who is typically known for his opinionated rhetoric – gives the floor to his guests so that they may convey their message without interruption or interrogation. Ventura and his wife Terry have a son Tyrel and a daughter Jade. Melissa Parker (Smashing Interviews Magazine): What is the main focus of Off the Grid? We did the interview, and I spoke to the people and explained to them the problem for me was that for the last eight years, I’ve been virtually off the grid outside of the United States. That’s where the name of the show came from, and I broadcast outside the US a thousand miles away “off the grid” back into the United States. What I like about it is on the Internet, there are no FCC regulations. I work for a company that allows me total control and anything I talk about is my choice. I have the total control of the show, and it’s remarkable to do that. It’s a great change of pace for me. For 20 years, I’ve been inside the country hollering and complaining and not getting a great response necessarily I guess, and so I thought I’d try it from the outside looking in from a different perspective. I kind of view the US today as East Berlin, and so I’m outside East Berlin broadcasting back into it. Melissa Parker (Smashing Interviews Magazine): Uncensored, and no topic is off limits? Jesse Ventura: Absolutely any topic I want to talk about. That’s the greatness of the Internet. Do you notice how all of the people in media on all of the networks talk about the same thing? Don’t you find that a bit peculiar? It comes down to them from on high. When I had my short-lived cable TV show on MSNBC called Jesse Ventura’s America, I fought with them. They told me I could have control of the show, and immediately I didn’t because the topics came from upstairs, came from the corporate. The great thing about the Internet is that none of the topics comes from the corporate. The topics are the ones I choose. Melissa Parker (Smashing Interviews Magazine): I’ve heard you say that politicians will not come on Off the Grid. Would your dream guest be President Obama? 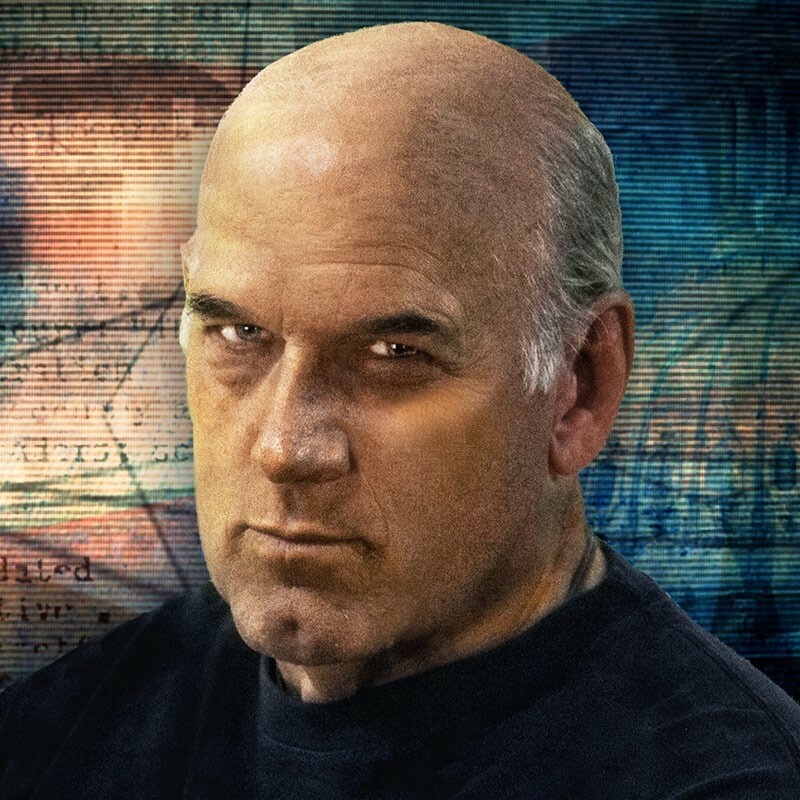 Jesse Ventura: My dream guest? No. Not at all. I will tell you that my dream guest right at the moment would probably be Edward Snowden. I view him as a hero. Anyone who exposes the government for lying about violating the Bill of Rights and the Constitution … any government employee that exposes that to the public is a hero. Our government is going to try to destroy him because they don’t want the whistleblowers. They don’t want people telling what they know about the government doing illegal activities. We the people have allowed the government to become the boss when we’re supposed to be the boss. We’ve now allowed the government to become the boss. It’s happened since 9/11. Melissa Parker (Smashing Interviews Magazine): Bill Gates came out recently and said that Edward Snowden is not a hero because he broke the law. Jesse Ventura: Let me speak this to Mr. Gates. There is no law higher than the Constitution and the Bill of Rights. Everything that Mr. Snowden did in protecting those highest laws of the land is right. Mr. Gates needs to understand that apparently our government is operating like the Constitution and Bill of Rights are suspended. Well, that can only happen if you declare martial law, and they haven’t done that to my knowledge. You can tell Mr. Gates there are no laws higher than the Constitution and the Bill of Rights, and that was what Mr. Snowden was protecting. Any other laws are insignificant. They do not rise to that level. Am I not correct on that? I believe I am. So how can Mr. Gates say he broke laws? That’s like breaking federal law and breaking a city ordinance. Which one’s going to take priority? The Constitution and the Bill of Rights are more important than any other laws. Jesse Ventura: Let me state this. The government operates on my money, doesn’t it? My tax dollars? Therefore, I have the right to know what they’re spending my money on, don’t I? Then to me, that takes priority over somebody like Bill Gates or anyone else telling me the government should keep secrets from me. No, the government operates on my money, and I have the right to know what they’re spending it on. Do you see how interesting Jesse Ventura is? Why do you think I’m dangerous? Because no matter how they come at me, I can counter them with something that’s far more important. Melissa Parker (Smashing Interviews Magazine): You mentioned 9/11. Could it have been avoided? Jesse Ventura: Here’s the big question I’ve posed. I come from the military, and in the military, I operated in “failure is not an option.” I think I can say that the defense department operates in the same way of “failure is not an option.” Well, 9/11 was a catastrophic failure of our defense system. You have 19 Islamic radicals armed with box cutters who defeated a multi billion-dollar air defense system all while conspiring with a bearded guy in a cave in Afghanistan. And no one got fired. I’m confused over this. Why would the largest crime in US history on our soil happen, and no one lost their job? No one was replaced or fired. In fact, people were promoted. I found that astounding. If something that catastrophic had happened on my watch as governor of Minnesota, and we were supposed to defend against that in some way, I would investigate, and I would fire people for failure to protect what they were supposed to protect. Yet on 9/11, nobody got fired. Why? Do you want to know why? Let me pose this to you now. Do you know why you don’t fire anyone? If you don’t want any investigation, don’t fire anybody. Then everyone goes to work, and everyone moves on, don’t they? If you were to start firing people, those people would start talking because if they were taking orders from someone, they’re going to rat on them. But someone should have been fired that day. People were promoted, and people got medals for it. The head of the CIA got the Presidential Medal of Freedom, the highest award you can get, and it happened on his watch. I’m astounded over that. But see, that’s the type thing you get on my show, questions and dealing with things you don’t normally hear anywhere else. That’s a huge question I have about 9/11. Why did do one lose their job over that catastrophic failure of our own defense system? Melissa Parker (Smashing Interviews Magazine): Osama bin laden’s son in law is accused of conspiracy to kill Americans and being involved in a 2001 shoe bomb plot. However, a witness is being held in Guantanamo, and the defense feels this detainee will clear him of any wrongdoing in the shoe bomb attacks. Jesse Ventura: I found it astounding that George Bush and Barack Obama would go to Nelson Mandela’s funeral. The hypocrisy there is just astounding. Do you understand what I’m saying? Both of those presidents … they don’t give them trials. They torture them, and that’s exactly what happened to Nelson Mandela for a big part of his life. He was a tortured, political prisoner. If I behaved like those two presidents, I couldn’t show my face at Mandela’s funeral. How could you do that when you torture people? How could you do that when you lock them up and torture them without trials? Melissa Parker (Smashing Interviews Magazine): “So they can track a phone, but they lost a plane?” That caption made its rounds around social media. What do you think happened on flight MH370 for it to crash into the ocean? Jesse Ventura: I don’t know. I’m off the grid down here. I haven’t got a clue. That’s not high on my list. I mean, naturally I’m concerned because whenever a plane crashes, people obviously die, and you feel horrible about it. No one wishes that upon anyone. But I don’t know anything about it. I do find that caption rather laughable. They can track all of us on our cell phones yet they lost an entire aircraft. But was obviously the Malaysian airline’s business, right? We had no business in it unless we’re asked. That’s my opinion. If we were asked, then fine. But it really wasn’t the United States’ business, was it? Melissa Parker (Smashing Interviews Magazine): I’ve read that you are an atheist. Is that correct? Jesse Ventura: Yeah that’s true. Why should I have to hide the fact that I don’t believe there’s a supreme being? There’s no proof of it. There’s no harm in saying you’re an atheist. It doesn’t mean you treat people any differently. I live by the Golden Rule to do unto others, as you’d want to be treated. I just simply don’t believe in religion, and I don’t believe necessarily that there’s a supreme being that watches over all of us. I follow the teachings of George Carlin. George said he worshipped the sun. He was a fellow atheist. I’m in good company … Albert Einstein, Mark Twain, Charles Darwin. It’s not like I’m not with good company and intelligent people. There have been some good, intelligent atheists who have lived in the world. Melissa Parker (Smashing Interviews Magazine): Bill Maher is an atheist. Melissa Parker (Smashing Interviews Magazine): Bill said that because 60% of adults believe the “Noah” story, the country is stupid. Jesse Ventura: Remember, he’s in the entertainment business as we all are. Bill gets paid to perform, and he performs, so people need to take that into consideration just like Jesse Ventura. Ask me about the ratings on our show. I don’t know. I don’t get paid to worry about ratings. I get paid to perform, and I concentrate on performing and don’t worry about that other stuff. Melissa Parker (Smashing Interviews Magazine): I found it interesting that you were a bodyguard for the Rolling Stones. Jesse Ventura: I was a bodyguard for all the rock bands when they came to Minneapolis-St. Paul. I had some knee surgery and was wrestling there, and I did Springsteen, Foreigner, the Stones twice, Marshall Tucker. I can’t even remember all of them, and this was within about a two or three year period. Melissa Parker (Smashing Interviews Magazine): I imagine you have some interesting stories to tell. Jesse Ventura: It was exciting. There were no assigned seats on the floor back them. We were down in the pit with the stage behind us, and they would tell us by walkie-talkie when they were opening the doors. You could feel the rumble on the ground. You had to keep people from charging in, doing somersaults and falling in the aisles all while trying to be the first person in front of the band. It was chaotic, but it was rock and roll. It was the life of rock and roll, the life of big concerts at that time, and it was fun to be in the middle of all of it. I remember one concert, they came up to me and asked, “Do you want to introduce the Rolling Stones tonight?” I was the most famous person back there, so I said, “Sure. I’ll introduce them.” I walked out with my sunglasses on in my Jesse “The Body” stuff, went to the microphone, and said, “Ladies and gentlemen, the world’s greatest rock and roll band, the Rolling Stones.” That’s all. Didn’t need to say more. Melissa Parker (Smashing Interviews Magazine): What would you say was your proudest moment as governor of Minnesota? Jesse Ventura: Actually the proudest thing was winning because I only raised $300,000. I made more money doing the job than I spent to get it. Tell me anybody in 50 years that can make that statement, defeating the Democrats and Republicans as an Independent and coming out of nowhere. As I said that night, “We shocked the world.” And we did. Why hasn’t anybody made a movie about that? Because of the fact that they don’t want it to happen again. Therefore, they hush it up. People have no idea of the magnitude of what we accomplished in Minnesota that year. I raised $300,000. That’s all. They spent $12 million combined. And Jesse won. I did. That’s what makes me dangerous. It makes me dangerous because I’ve beaten them twice. They know I can beat them if I’m given a fair level playing field, and if I’m allowed to debate them. I can beat them. It’s that simple. Melissa Parker (Smashing Interviews Magazine): Now you sound like you’re talking about running for the presidency in 2016. Jesse Ventura: If I ran for president, do you know what one issue I would run on? You tell me if you think this would work. I would challenge the American people to elect their first president since George Washington (the father of our country) who does not belong to a political party. Let’s create history here. We have an opportunity to do that. Let’s make history. Just as we elected the first black president, let’s now elect the first president since George Washington that does not belong to a political party. I believe we could win on that alone. Melissa Parker (Smashing Interviews Magazine): Very interesting. But on the ballot, it would list the Democrat and Republican candidates. What about the party affiliation on your side of the ballot? Jesse Ventura: I wouldn’t have one. Why would I need one? My point is this. Here’s the first thing we can do to correct the problem. I’m glad you asked that. Why do we allow party names on an election ballot? They’re on there to keep you stupid. Seriously. That way you don’t have to know who the candidates are. The party names are on the ballot so that if you’re a conservative, you don’t need to know who the candidates are, you just go in and look for the name “Republican.” If you’re a liberal, you look for the name “Democrat.” If you remove those titles from the ballot, then it’s up to you, the citizen, to educate yourself, to know who the candidates are. What we have today is a broken system based upon the concept of bribery which in the private sector, you’d go to jail for. In the public sector, it’s the norm. I’ll give you a good quote. You want to know the major reason I only did one term as governor of Minnesota? I could’ve been reelected easily. But I chose not to run. Do you know why? Because after hanging around Democrats and Republicans for four years, I felt I needed a shower. That’s a quote for you. Melissa Parker (Smashing Interviews Magazine): That’s definitely a great quote (laughs). Do you have any plans to return to acting? Jesse Ventura: If I’m asked, and if it’s the right role. I don’t know what became of the film I did a couple of years ago called The Drunk with Tom Sizemore and a couple of other people. I’m still a member of the Screen Actors Guild and have an agent in LA. Melissa Parker (Smashing Interviews Magazine): I believe there is a medical marijuana bill in the Minnesota legislature, but the Minnesota Medical Association opposes it. Did this come up during your gubernatorial term? Jesse Ventura: Unfortunately it didn’t. I wished I had really pushed it. I regret not doing so because I’m a huge advocate of medical marijuana. I’m a huge advocate of legalizing marijuana and starting an end to the ridiculous war on drugs. Did you know it costs us $51 billion a year to incarcerate marijuana offenders, and if they’d legalize it, we’d make $49 billion a year. That’s a difference of $100 billion. I’m for legalization. Treat it the same as alcohol. Treat it the same as cigarettes. Here’s where I stand. Addiction should not be a criminal problem. It’s a medical problem. People can become addicted to many things. If you magically took away coffee tomorrow, you’d have riots over it. Melissa Parker (Smashing Interviews Magazine): Riots in the street (laughs). Jesse Ventura: All the coffee drinkers should think about that. I’ll give you the quote on marijuana. Here’s another good quote for you. Marijuana is to rock and roll what beer is to baseball. It’s the truth. I grew up in the 60s. I saw Jimi Hendrix, Janis Joplin, Led Zeppelin. I saw all of those power groups in the 60s and early 70s, and marijuana was a part of that. Melissa Parker (Smashing Interviews Magazine): Cocaine flowed rather freely during that time in the entertainment business. Jesse Ventura: Here’s my view on that. Take the actor, Philip Seymour Hoffman, who just died on an overdose of heroin. If those substances were decriminalized, he would be alive today because he could’ve gone to get what he needed. If you’re addicted to something, why should it be illegal? Obviously it didn’t affect Mr. Hoffman’s acting career. He did pretty well. Don’t get me wrong. I’m not advocating it. But if heroin weren’t illegal, he’d probably be alive today. Obviously he was able to perform while being an addict. Keith Richards of the Rolling Stones was a heroin addict at one time and he said, “I never had a problem with drugs, just policemen.” When the Beatles did the Sgt. Pepper album, they were all taking LSD. I think that’s one of the greatest rock and roll albums ever made. Now let’s go to Anna Nicole Smith, the blond gold digger. She took prescription drugs that were legal, and she wasn’t even capable of dialing 911 to save her own life. The Beatles took LSD, which was illegal, and wrote Sgt. Pepper. Anna Nicole Smith took medical prescription, legal drugs and couldn’t even dial 911 to save her own life. Which are worse? I think you get worse drugs from the doctor. Melissa Parker (Smashing Interviews Magazine): What do you think about Ted Nugent? Jesse Ventura: I try not to think about Ted too much (laughs). I’ll just say this. Ted can make his points, but does he have to be insulting to the person he’s making the points to? When I was governor, I didn’t mind if you criticized my policies, but you didn’t have to criticize me personally and call me names. Ted Nugent calls people a lot of names. That’s not required, and it’s really kind of shameful. You don’t need to behave that way. That would be my only thing with Ted Nugent. He can be as critical as he wants to and can talk about anything he desires to, that’s fine. That’s America, and you have the First Amendment. But try to do it without calling people names. That’s not required. Melissa Parker (Smashing Interviews Magazine): Ted called President Obama a “subhuman mongrel,” and I believe he has apologized for the comment. Jesse Ventura: Yeah. If Ted thinks he’s a patriot by making a statement like that, he’s the farthest thing from being a patriot. Our president is our president regardless of whether you agree with him politically. He is still the President of the United States, so if people like Ted claim to be a red, white and blue citizen and patriot, back your president regardless of whether you disagree with him. You don’t call him names. Show some dignity to the office he holds. See the difference between Jesse Ventura and Ted Nugent? Melissa Parker (Smashing Interviews Magazine): I think that Ted believes the government will take his guns away. Jesse Ventura: Ted has a concern. I stand with Ted on that. I believe in the Second Amendment, the right to bear arms. Mr. Nugent and I will have no difference of opinion on that. Melissa Parker (Smashing Interviews Magazine): Do you think the US Constitution is actually threatened on that issue? Jesse Ventura: Absolutely it is. In the past 150 years, there have been several genocides, mass killings, committed by governments against their people. All of this happens in countries that have strict gun control. I was in the Philippines physically when Ferdinand Marcos became a dictator. Back in the early 70s, I was there. The first thing Mr. Marcos did when he became dictator was to give the people of the Philippines two weeks or something like that to turn in all of their guns or get arrested or get the death penalty. Why would a dictator make that his number one priority to disarm the public? I’m a huge advocate of the Second Amendment that gives me the right to bear arms, and it shall not be infringed upon. Ted Nugent and I will agree on that wholeheartedly. Melissa Parker (Smashing Interviews Magazine): The only thing you and Ted will agree on? Jesse Ventura: I’m sure there could be a few others, but we certainly would disagree on etiquette and showing respect for the presidential office. Unfortunately Ted has never held office and I have, so I’ve been on both sides of the fence. Melissa Parker (Smashing Interviews Magazine): I saw on your Facebook page that you were discussing Roger Stone. His book, The Man Who Killed Kennedy: The Case Against LBJ, is an interesting read. Do you believe that Lyndon Johnson had President John F. Kennedy assassinated? Jesse Ventura: Well, many of us realize that the Warren Commission is a joke. It’s totally fictitious and was simply done to back up the official story, and there was really no investigation ever done. Any investigator will tell you the first suspects you look at in any murder are those who would have benefitted the most from the murder. Unfortunately or fortunately, depending on which way you’d look at it, the person who benefitted the most in the murder of John F. Kennedy was Lyndon Johnson, and so naturally you’d have to suspect him. Certainly no one has denied that JFK was murdered. I don’t think there would be any gray area there or any type controversy. I think we all agree JFK was murdered on November 22, 1963. Melissa Parker (Smashing Interviews Magazine): Stone certainly brought forward some interesting evidence that Lyndon Johnson was possibly at least involved at some point in JFK’s assassination. Jesse Ventura: Oh absolutely. Johnson was neck deep in huge scandals. There was talk that Kennedy was going to get rid of him on the ticket, and Johnson’s political career would’ve been over. All of a sudden, when Johnson became president, all of those things magically disappeared. You have to look at who benefitted the most from someone’s murder. Lyndon Johnson is very high on that list. Melissa Parker (Smashing Interviews Magazine): Do you think that the government assassinated Marilyn Monroe and Martin Luther King? Jesse Ventura: I don’t know if the government did those, but I certainly think there’s more to all of the assassinations than what we’ve officially been told. I think there is far more to all of them. I guess we’ll never know the truth on any of them. Melissa Parker (Smashing Interviews Magazine): Recently Rev. Franklin Graham praised Vladimir Putin for his stance against homosexuals. What is your response when Christians claim that homosexuality is a sin? Jesse Ventura: Being an atheist, I can look at the Bible as just a book. There are certainly wrong things in it because it is written by men and has been passed on through the ages and has been rewritten so many times over and over. This has been taken out and that has been added, so I don’t think anyone can know for certain. I treat everyone equally. Homosexuals did not choose to be that. They’re born with the gene that homosexuals have and heterosexuals do not have. I’m heterosexual, but every homosexual that I’ve gotten to know have all told me they were born that way and that they didn’t choose it. Why would someone choose to be gay? Here’s the better question. Are you heterosexual? Jesse Ventura: When did you choose to be heterosexual? You must’ve sat down and had to think as a young teenager, “Boy, I have a big decision to make. Am I going to be gay or am I going to be straight?” None of us do that. Nobody chooses. I didn’t have to choose. I was attracted to women, and it didn’t require me making a choice. The reason religious people won’t accept it, and they never will is because if it’s proven that you’re born gay, that means God made you and God made gay people. They don’t want to get into that because to them it would mean God made a mistake to make gay people. I give gay people the same respect as I give anybody else. Melissa Parker (Smashing Interviews Magazine): If you were elected president, what would you concentrate on first? Jesse Ventura: I would concentrate on restoring the United States of America’s infrastructure. Its high time we start looking after ourselves for a while instead of out there nation building and fighting wars all across the world. I’d bring our troops home, I’d shut down all our military bases throughout the world, and I’d follow the teachings of Major General Smedley Butler, the two time Congressional Medal of Honor winner who stated that our troops should never go over 500 miles from our shore. They’re supposed to protect the United States of America not go all over the world fighting wars. That’s what I’d do. I stand for peace. Our country is not a peace country. I believe the USA is known as a country that is our creating war all the time. We’ve done it my entire life. I want you to think about this for a moment. Do you remember when Christopher Columbus allegedly discovered America in 1492? Here’s what he was doing. He was trying to find an alternate way to get to India because they didn’t want to go through the Middle East. Science, at that time, said that the world was flat and that you’d fall off the end of the earth. Yet Christopher Columbus was willing to fall off the end of the earth rather than go through the Middle East to get to India. If he didn’t want anything to do with the Middle East back in 1492, why do we want to be part of them today? Follow me? In other words, if the Middle East wants to war with each other and blow each other up for all these silly religious reasons, let them. I don’t care. That’s their business. I totally agree with his Presidential platform of “first since GW with no party affiliation As well as removing party designations from the ballots . His closing stmt was spot on! I just believe that we need the NSA & CIA out there doing the things they do so we don’t have too and that I don’t need to know everything. The Constitution needs to be updated…the world has changed a lot in 200 years. Oh yeah .Snowden is a traitor. Jesse Ventura is a Politician and has the same power hunger and Control Freak traits of every other Politician. He just seems to have a better agenda. We wouldn’t know what the NSA was doing if it wasn’t for E.S. The Constitution does get updated. It’s called Amending. It doesn’t matter how much the world has changed, it was put in place to protect the people from government getting too big and controlling the people. Stripping liberty. If anything, it needs to be followed more. Snowden is a traitor to the government but a patriot of the people. He didnt give any secrets to the enemy. He didn’t sell the information. He released it so we knew we were being deceived, lied to and rights were being violated. Ventura is a statesman, not a politician. The difference? He is in it to serve the people and thats it. No personal gain. Not a career politician as the others. Of course the power is enticing, but it never changed him. Well said. I couldn’t agree with you more . Governor Ventura understands what “The Land of the Free” is supposed to mean, unlike the NSA. Jesse Ventura / Bernie Saunders ….. running for President /Vice President would be quite the ticket on a “TAKE BACK AMERICA PLATFORM ! Patriot Act , NSA Surveillance , Drones ,militarization of police, Guantanamo, Iraq ,Afghanistan fiasco’s ,missing trillions accountability,Military /Industrial complex ,children going hungry in America , Corporations are people ……. the list goes on and on. I would love to see the debates between the Thee parties if the Independent Party was legitimized so they could attend /participate in the debates . Ummmmmmmmm, if you mean by “veteran” that he was a Navy Seal, NOT TRUE. He was a civilian employee for them, but never an actual member. I was so disappointed that he’d lie like that. show me where you found the proof that jesse ventura lied about his military experience. if what you say is true i believe it would have came up during his gubernatorial run in minnesota , dont you? perhaps you should look into navy records using his birth name james janos. jesse is a proud american. you sir, i believe to be a troll at worst or very badly mistaken at best. And Jesse Ventura is a good man! When mayor of Brooklyn Park Mn he had a radio show . My father an ex navy man himself and a very good judge of character liked listening to Jesse very much and thought Jesse was a good man. When Jesse was Governor of Minnesota he did an excellent job, giving money back in tax rebates, pushing for light rail and when he left office he left a surplus in our state treasury. He is a Soldier Statesman of high integrity who has held multiple offices in our government, served our country honorably with distinction and above all will not allow himself to be pushed around. He is intelligent enough to realize he isnt a scientist or a Doctor or a career diplomat BUT he is a very sly person with an almost over abundance of common sense. I think he is plenty smart enough to surround himself with the best and the brightest and really would do a fine job as President. This is the man needed to turn our nation around from the police state fascism it has become and especially he is a man of peace needed to help restore our leadership position to of the rest of the word. I feel bad that I always thought gay people chose to be that way. I have never understood why I felt that way only that I had a strong opinion this was true. I like the way Jesse explains his view on the matter, it makes me feel ashamed of my shallow opinion. Thanks for the honesty Gov. Ventura! You’d have my vote if you choose to run! I agree with most of your ideas and certainly the platform. Good Luck and watch out for drones! What the Hell is this DUMB EGOMANIACAL BLOWHARD talking about?! ALBERT EINSTEIN most certainly was NOT an atheist. Why does anyone pay attention to this idiot?! Yes, he was. Regardless of the chain emails you probably received, Einstein never had an incident in a classroom where he countered an atheist professor’s claim that there is no God. Read a book sometime and don’t mindlessly perpetrate misconceptions. ” AS FOR THE UNITED STATES, ‘WHAT IN FACT’ CAN BE DONE ?????? ?, ‘SHORT OF ACTUALLY OVER THROWING THE GOVERNMENT’ ?????? ?, & THAT ‘IN FACT’ IS OWNED BY CORPORATIONS !!!!!! !, IT SEEMS, ‘THERE IS NO HEAD TO CUT OFF’ , I ‘DO SO ‘ ADMIRE WHAT Mr. VENTURA IS DOING, & AGREE, BRADLEY MANNING,EDWARD SNOWDER ETC. ARE ‘MOST SURLY’ THE TRUE HERO’S OF OUR TIME !!!!!!!! “……………..
Jessie – you include Einstein along with yourself as an atheist. Einstein was not an atheist. Like me, he is an agnostic. Einstein became quite angry when he was said to be an atheist based on an assumption. He described the concept of a personal God who watches over us all as childish, believing if there were a God, we would be too insignificant for him to even bother with. He believed that if there were a God, it would be beyond the ability of man to understand that God, comparing it to a baby in a huge library with volumes of books written in foreign languages and that child being able to understand what is written in those books. It depends quite a lot on how you define your terms. If, by “atheist,” you mean that you know no gods exist, then–yeah–Einstein wouldn’t have claimed to be an atheist. If, instead, you meant you have no belief in gods, then he most likely was. Most self-described atheists today count themselves as agnostic atheists. They would tell you that “agnosticism” describes what you know or can know and “atheism” or “theism” describes what you believe. One might be an agnostic theist, an agnostic atheist, a “gnostic” atheist (though those are likely vanishingly rare). In short, it’s big-tent atheism. If you don’t have an active belief in one or more gods, you are not a theist. If you’re not a theist, you are by definition an atheist–no matter how favorable or unfavorable you find the term. Very few are trying to claim they’ve ruled out ever possibility that a deity of some sort exists or that its non-existence could be proved (how would you even do that?). Instead, these folks have weighed the evidence available and found it lacking. Try reading up on Bertrand Russell’s celestial teapot or Carl Sagan’s invisible dragon, and you’ll get the gist. None of us today believe in leprechauns or fairies or Oester or Osiris or Apollo or Thor these days, just to name a few. If someone came to you saying any one of these things existed, you’d say “OK. Show me your evidence. How do you think you know what you claim to know?” Nobody says, “can you demonstrate that no leprechauns exist?” That’s ridiculous, and everybody knows it. We haven’t proved they don’t exist, but we don’t go ’round day after day trying to find a pot of gold at the end of a rainbow. To be totally objective, we’d have to say that we are agnostic about the existence of leprechauns. They might exist, but they probably don’t. Agnostic atheists feel quite the same about the Christian god. A system of methods, used in a particular area of study or activity based on the Sun was concealed by those that base their moral laws on the physics derived from coins to another form of Sun worship called a collection of myths, belonging to a particular religious or cultural tradition. Looks like what Jesse Ventura is practicing is not recognized by the united States government as religious acts but allows Jesse Ventura to be a companion in converstion with the likes of Albert Einstein or someone like Thomas the Apostile discussing gnostic gospels or atomic theory. The united States government has lots to loose in the way of esteem…but in another respect they absolutely do not care. Patents, copyright acts, and other oppressive legal instruments have changed the way people veiw themsleves among others. Jesse; however, still implores people to be moral…Einstein did, if you really listened to what he said…no matter what Jesse or Einstein was previously asked to do during their lifetime. my first time acknowledgment on jesse ventura came while flipping channels & low and behold I stumbled upon mr ventura as he gave a speech at Georgetown univ .needless to say I am not the type of person to sit and listen to a lot of BS . That particular night changed my way of thinking , asi sat and watched the entire speech I can honestly say I did not hear BS , just plain truthful facts that struck a nerve ! there actually is someone who does care about the well being of his country & fellow man , KUDOS . I follow jesse as best I can , but I will be totally honest I had no knowledge of “off the grid ‘ till just recently , one reason I am writing this , I would like to feel I have a voice in my government; my question is , when are you going to make the big step and run for the presidency , and if you should do you think ed snowden would consider the vice presidents position . you have had my support since Georgetown , and you definitely have my vote “and anyone else I can get to vote with me” . keep up the good work , I look forward to watching off the grid on a dailey basis ! I’m 66 , help us out let me see something positive before i’m gone ! I spoke to Jesse after he was on Piers Morgan and told him “GOd wants you to be president” He said “GOD WANTS ME TO BE PRESIDENT? I told him God had him win as governor. that is why it was a miracle. he said “God had nothing to do with it” He’s wrong. l and I told him if he doesn’t repent of his atheism god will not protect him to become president or stay alive if he wins, they would JFK him. Jesus said “if you deny me before men I will deny you before the father” makes sense. God often doesn’t help people who don’t ask for his help. sometimes I have messed up and asked WHY and GOd said “you didn’t ask for my help” Jesse is one of GOd’s atheist prophets – GOd Is using him but also wants to do more with but he needs a relationship with God as part of the testimony HIS WHOLE TESTIMONY Is the same as the Jews – like David and Goliath that God does miracles and makes underdogs win. But jesse is making the same mistake as a lot of atheist Jews – who think it is just them and not God using them as a testimony to HIM. the name Israel means GOd IS REAL! as a testimony to the world . also gays are not born that way they are made that way by being sexually abused and socially engineered – by f the same conspirators that God has USED Jesse to expose on his Conspiracy Theory show. Jesse, can’t believe you abide by of all people George Carlin. A dead man. What is George Carlin going to do for you? The sun? Nothing, but Jesus. Jesus said, No one goes to the Father, Except through Me. God sent His only Son to save us from an eternity in hell. Jesus was beaten, died on the Cross and arose 3 days later. He loves you Jesse. He does not want you to suffer in a eternity called hell. John 3:16 Phil. 3:14 Please think about it Jesse.